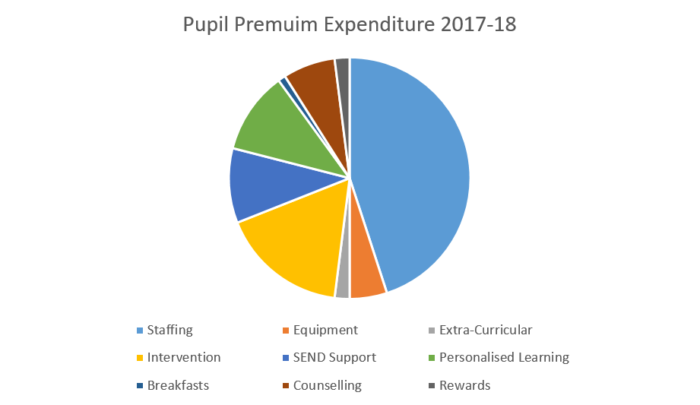 The Pupil Premium was introduced in April 2011 and is allocated to children from low-income families who are currently known to be eligible for free school meals (FSM) and children who have been looked after continuously for more than six months. The Government decided that eligibility for the Pupil Premium from 2012-13 will be extended to pupils who have been eligible for FSM at any point in the last 6 years (PPEv6). Research showed that, as a group, children who have been eligible for FSM at any point in time have consistently lower educational attainment than those who have never been eligible for FSM. Local authorities are responsible for looked after children in care and will make payments to schools and academies where an eligible looked after child is on roll. At Bromfords all pupils who are eligible for FSM also receive a free breakfast every day, the canteen opens from 8.00am to 8.30am. Parents of those pupils in Year 7-11 who are eligible for FSM or ever6 have been informed that the school is in receipt of the Pupil Premium and they can request the manner in which it is spent. For example, if a pupil wants to go on a school trip and they can demonstrate that it will have an effect on their level of attainment then the school can fund all or part of that trip using these additional funds. Pupils in receipt of FSM can receive extra tuition in English, Mathematics or Science depending on their greatest need. In the financial year 2017-18 the grant received by the school was £224,000. Staffing This includes a percentage of the Pupil Premium grant supporting the employment of a Home School Attendance Officer to ensure improved attendance of disadvantaged students. It also allows non-teaching Heads of Year to support student wellbeing and, when required, reduce the risk to fixed term exclusions. School equipment: revision guides, school uniform, food technology ingredients, stationery. All students have the opportunity to access extra support materials to further enhance their understanding of the curriculum. The introduction of revision packs in the core subjects ensures that students are prepared for their exams and promotes the importance of self-esteem and confidence. Extra-Curricular activities: residential and day trips. Students from lower income backgrounds do not necessarily have access to a wide range of extracurricular activities outside of school. We therefore give students the opportunity to experience new things and learn or enhance their skills in extra-curricular activities. This also helps to improve motivation, organisation and dedication to their school experience. The school also raises the aspirations of these students by providing them with the opportunity of experience local universities. Our homework club in the library ensures that all students have an appropriate place to complete their homework. (includes 1-2-1 and small group tuition) Students identified as under-achieving are given targeted intervention to close the gap in attainment. Some of this intervention may be delivered by an external company but we also use some of our Sixth Formers to work with students as a way of not only improving attainment but to also raise student aspirations. SEND: LSA intervention and classroom support Students are closely monitored by the school SENCO (Mr Upward) and then key areas for development are identified. This allows the Pupil Premium budget to be spent with specific student needs in mind. Personalised Learning. For a small number of students, a personalised learning programme engaging with external providers prevents the risk of exclusion and enables these students to obtain qualifications that will support them post-16. Breakfast and lunch. Free School Meals are offered to those on the FSM register. All pupils who are eligible for FSM are also entitles to receive a free breakfast every day. A balanced diet and getting a variety of nutrients has been widely recognised as having a direct impact on student progress in schools. Counselling Our counselling service allows students to manage the way they think or behave to improve their mental and emotional well-being. Rewards A variety of incentives are used to help improve student attendance and therefore student progress. For example, there is a termly attendance prize draw for disadvantaged students. The school’s Pupil Premium strategy comes under the ‘Spotlight Learners’ initiative. This initiative is aiming to ensure that the gap between ‘Spotlight Learners’ and their peers is reduced in terms of outcomes, attendance and other key measures. Each year group is reviewed on a regular basis in Spotlight year meetings where discussions centre on progress, welfare, attendance and behaviour. Termly reports are also discussed at SLT. Raise the profile of the spotlight learners amongst staff, students and parents whilst dispelling any negative connotations. Mrs Briffaut, Assistant Headteacher, oversees our Spotlight Learner strategy. She is supported by two Raising Standards Leaders (RSLs) who were appointed to post from September 2018 – Miss Victory and Mrs Harman. Between them, they monitor the academic progress, attendance and welfare of disadvantaged students and determine how the additional funding received by the school is spent. Parents in receipt of Free School Meals can request on how the school spends the grant and these should be directed to Mrs Briffaut in writing. Whilst the school is encouraging ideas on how parents would like to spend the grant the final decision on how the grant is spent rests ultimately with the school.